At the Children’s Center of Walkersville, we take great pride in being a part of the community of beautiful downtown Walkersville. Teaching our children the importance of being an active and responsible member of their communities has become an invaluable part of the program and something that sets us apart from many providers. Activities have included our Annual Food Walk (collecting food from local businesses to benefit our community food bank), coat drives, supporting our local library (Little Friends of the Walkersville Library), cards for our local troops stationed overseas, and many more. 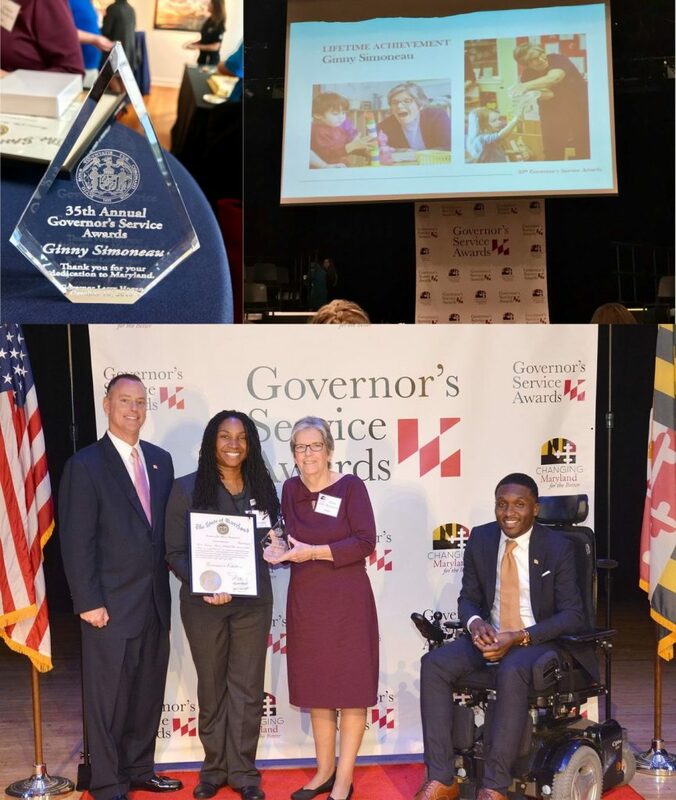 This year our very own Ms. Ginny was selected to receive the Governor’s Lifetime Achievement award for her dedication and service to children. We are so proud that she has been been recognized for her 30+ years of service. This award has given her the opportunity to get the word out about the importance of quality child care and preschool programs. Did you know 90% of brain development happens between age 0-5. By having quality programs and family support, children are given a solid foundation. Check out the Frederick News Post article and local News Station segment to read more about Ms. Ginny’s award.